Why did Tanzania just pull the plug on its GMO crop trials? 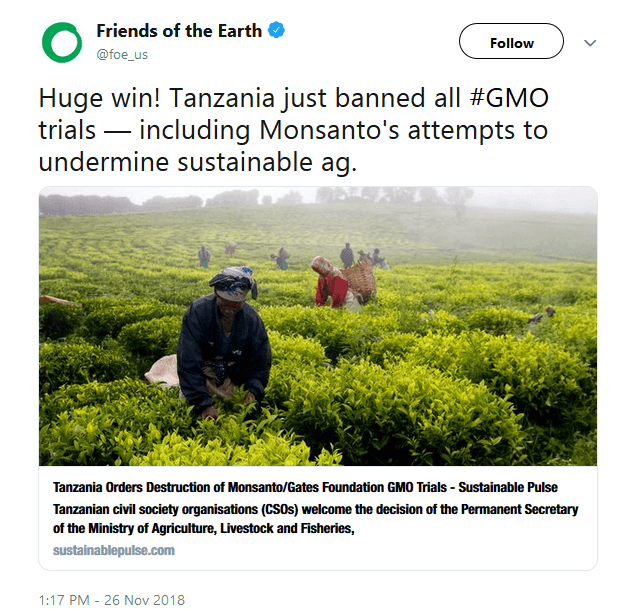 Members of the research community were in shock that the government did not only ban ongoing trials on GM seeds but also directed the Tanzania Agriculture Research Institute (Tari) to immediately destroy evidence of the research. …Some researchers used their social network groups to express their disappointment over the development, saying their hard work will go down the drain. “If the order is from above, we need to be patient and wait for the official letter,” wrote one of the researchers. Another Scientist said their work was to help bring change to the society but if the same society was not ready to accept the change there was nothing they could do. “Science is about facts and figures and nothing else… Truth could not be changed into something else,” he said. The Tanzania Agriculture Research Institute (TARI) is a semi-autonomous body of the government under the Ministry of Agriculture, responsible for conducting, regulating and coordinating all agricultural research activities in the country. TARI has been carrying out two field trials of GE crops at two locations. In Makutopora, in the Dodoma region, they were testing the county’s first ever approved confined field trial of GE maize, a water-efficient variety stacked with biotech traits for insect resistance and drought tolerance. Researchers took a conventionally bred water-efficient maize from the Water Efficient Maize for Africa project – sold under the brand name Drought TEGO – and introduced the Bt insect resistance trait to produce the new TELA maize – which has been approved and distributed royalty free to South African small holder farmers in South Africa with marked success for the past couple years. TARI applied for approval of the Makutopora trials in 2010 but were only allowed to proceed beginning in 2016 with the window of approval ending in 2022. At the Mikocheni Agriculture Research Institute in Dar es Salaam, researchers were conducting a trial of cassava resistant to virus and whiteflies. That program was in earlier stages, while the maize trials were getting ready to start tabulating results. There was a lot of recent upbeat reporting on how well those trials were going and how well outreach to government officials and legislators was going. Then, seemingly out of nowhere, newly appointed Agriculture Minister Japheth Hasunga announced that TARI was out of compliance in sharing results with his ministry and the trials needed to be ended and the crops and seeds destroyed. Several commenters found the move an overly brusque response to a bit of red tape non-compliance. Was the new minister laying down a marker to solidify his authority? A local commentator pointed out to me that Hasunga had the full backing of Tanzanian President John Magufuli. This decision was taken following the publication by TARI of the results of these tests without having obtained the necessary authorization. TARI has indeed communicated widely on the success of these tests and organized various lobbying actions, including inviting the Parliamentary Committee for Food and Agriculture to visit its facilities. But the tests are not supposed to be open to the public. The ministry holds that by organizing these lobbying actions, TARI went beyond its mission. Hasunga also denounced the instrumentalization by some pro-GMO activist researchers of smallholder peasants as “poor and hungry” for pro-GMO propaganda purposes. The WEMA program is also seeking to weaken the current framework, in particular by asking for a change in liability for damage caused by these crops. Currently, the standard applied is that of strict liability. The WEMA program would like to replace that with fault-based liability. Strict liability means that anyone who introduces GMOs into the environment is directly liable for any damage or harm while fault-based provisions mean that the fault or negligence of anyone who introduces GMOs must first be proven. This is a very strange rationale. While if it’s true that TARI overstepped their bounds, that needs to be addressed in some way. However, it’s odd that the rules governing the trial work to limit transparency and public confidence in the results. In addition, it’s hardly a solid pretext for ending the trials and destroying the evidence. Visits from NGOs and local government officials, even if prohibited, have no bearing on the findings of the trials or the safety and efficacy of the crops. As was so well stated above, “Science is about facts and figures and nothing else. Truth could not be changed into something else.” It might make sense to sanction TARI officials in some way, it makes no sense to destroy their work over these apparent transgressions. @mark_lynas any insight or news from your connections there? 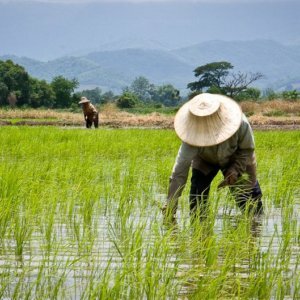 The influence of the anti-GMO, anti-technologically progressive agriculture of Western, especially European environmental NGOs is out-sized throughout Africa. Paarlberg is scathing about some of the approaches by NGOs. The German organization Networking for Ecofarming in Africa has partners in 13 African countries to warn them of the dangers of “Western agriculture” supplanting indigenous knowledge, yet promotes biodynamic farming in its workshops. German trainers at one NECOFA session in Kenya in 2005 took the time to introduce local participants the importance of light rhythms from the planets and to instruct them in developing manure preparations that included essential bits of stinging nettle, chamomile, and cow horn (NECOFA 2005). Such knowledge is neither farmer-derived nor indigenous to Africa. Nor is it even knowledge. Pedaling pseudo-science to hungry people is akin to quack therapists promoting homeopathy for AIDS or malaria. 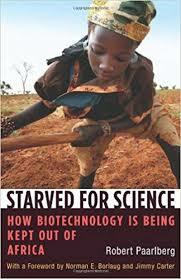 Paarlberg details the political process used by NGOs, aided and abetted by the UN and supported by a complacent governments in the west and corrupt urban-based officials in Africa, to block the use of science to improve the farmers lot there. I would add that this all comes with the bitter twist of being compounded and multiplied by a sensitivity to neo-colonial incursion and exploitation that is fully understandable given the tragic history of European colonialism in Africa. 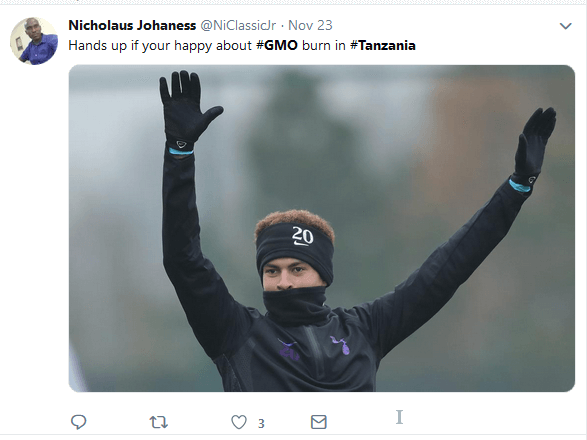 Anti-GMO sentiment in Africa often comes in the virulently paranoid and conspiratorial bent we associate with Alex Jones’ InfoWars in the US. 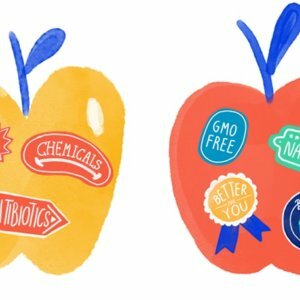 Related article: Did you hear about the GMO that almost destroyed all life? This applies beyond the GMO “debate”. Recently President Magufuli came out against women practicing birth control. His opposition wasn’t solely based on what he sees as a need to grow the workforce. His comments had a distinct paranoid and anti-colonial flavor. Speaking at a public rally in Meatu in Simiyu Region President Magufuli told the people not to listen to those advising about birth control, some of it coming from foreigners, because it has sinister motives. Meanwhile Magufuli has a policy of denying education to schoolgirls who become pregnant. This is all the more distressing as 70 percent of Tanzanians live on under $2 a day while there are few things more tightly correlated with development and rising living standards than women gaining control over their reproduction, smaller family size, and greater education for girls. 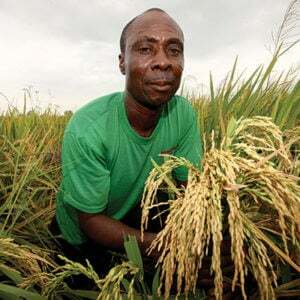 For African farmers, there are fewer agronomic developments that would go further than seeds that conferred drought tolerance and resistance to virus and infestation by pest insects. On the heels of the tragic announcement of the GMO trial ban in Tanzania, we get news out of neighboring Kenya of their government enacting a moratorium on foodstuffs developed through synthetic biology. As late as just a month ago local reporting covered results from the TELA maize trials, with yield gains of at least 8 percent and as high as 53 percent. “A maize test that endures average drought and stem borer was planted on the 16th and 17th of August 2018, the test consists of 16 species of maize as follows: 7 varieties are GMO maize and 7 varieties are non- GMO maize, and 2 types are maize certified in agriculture in the country. In order to ensure that maize is attacked by pests, 20 stem borers of maize were introduced twice (3 and 5 weeks after planting). In addition, he said, another experiment involving infected maize and spraying seven times to control pest damage, where the evaluation of the amount of pests made by insects was held on the 1st and 2nd of October this year (7th week after planting). Transgenic hybrids showed higher yields to 8.3 -58.0 per cent than their conventional counterparts. Stem borers affect maize production on about 30 million hectares in developing countries, feeding aggressively on leaves, stems and ears and significantly reducing grain yield. In eastern and southern Africa, two stem borers – Busseola fusca and Chilo partellus – are the most damaging pests. In South Africa, reported annual yield losses in maize range between 10 and 75 percent. 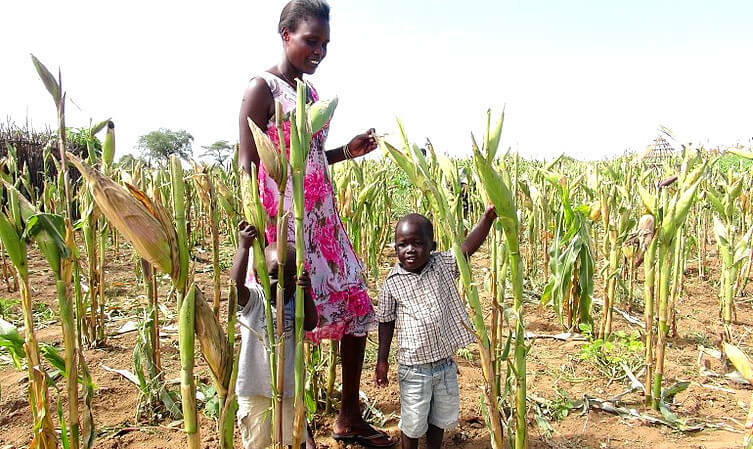 Yield losses in maize and sorghum as a result of Chilo partellus have exceeded 50 percent. Likewise losses to Cassava Mosaic and Cassava Brown Streak in cassava production are estimated to run as high as 50 percent. It’s estimated that whitefly is affecting the food security of more than 40 million African families in sub-Saharan Africa, with production losses in nine East and Central African countries have been estimated as high as 47 percent and annual losses of more than USD 1.25 billion. CIMMYT’s Drought Tolerant Maize for Africa (DTMA) project increased yields for African maize farmers by 20-30 percent, benefitting more than 30 million people since 2006. Building on that success would seem to be a no-brainer. The seeds that the Tanzanian government just ordered destroyed don’t represent the marginal improvement of Bt traited and herbicide tolerant commodity crops in the US and Canada, giving farmers with good options new better options for pest and weed control. These seeds represent revolutionary changes for farmers who can afford seeds, but not tractors, not irrigation, not insecticides, their crops beset by insects, viruses, scarce water. The glee with which this tragic news has been met with by the anti-GMO movement in Africa and abroad has been ghoulish to watch. From the Twitter feed of Nicholaus Johaness, a Tanzanian agronomist who touts the ideological version of agroecology.